Like Keith Richards fans, sick of hearing about the epic excesses of Justin Beiber, passionate beer geeks sometimes grow weary of the buzz that comes with early achievement. 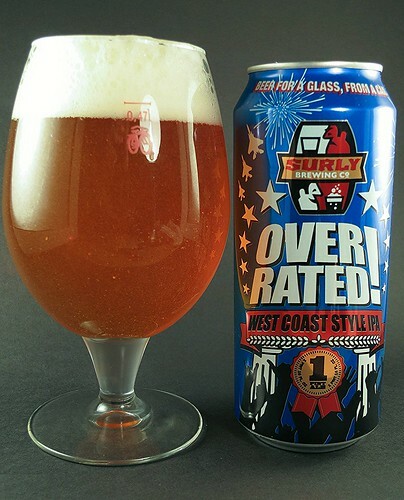 Surly Overrated is a beer that according to the Minnesota based Surly Brewing company’s website, is named in response to an unnamed critic who claimed that ‘It’s easier to brew an extremely hoppy beer than an extremely balanced beer’. 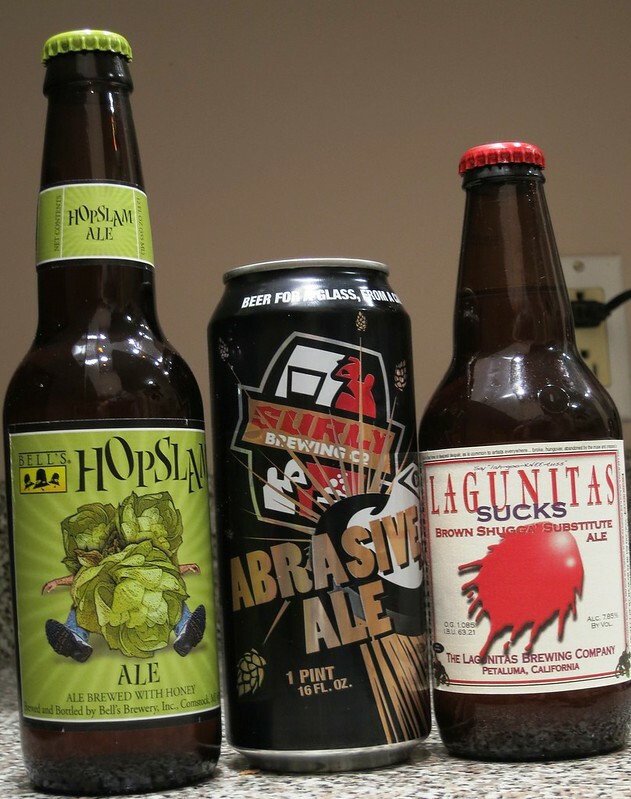 Distributing only to its home state, the Surly brewing company gained a reputation for great IPAs that come in cans early on in the craft beer canned revival. Beers like Cynic, a Belgian style pale ale, Furious, a delicious hop bomb of an IPA, and Coffee Bender, an oatmeal brown ale flavored with a cold extracted coffee that is a favorite of java beer lovers. A combination of rave reviews and limited availability fueled the hype machine, and apparently spurred the mysterious critic to declare Surly ‘overrated’ . But far from it, Surly not only brews amazing hoppy and coffee beers, but their anniversary releases have included creative strong beers and sours, and their huge imperial stout Darkness not only commands new, diabolical artwork each year, but its release is an event known as Darkness Day that draws beer geeks from far and wide to party and get the chance to but a few bottles. Surly Overrated is a west coast style IPA, meaning pine hope notes and bitterness should dominate, while the finish should be dry and draw the drinker in for more. Pouring it from the can gives a well carbonated, not quite translucent orange brew with a white, dense head. Aromas off the pour are pine, some citrus, and a hint of dank vestigial hops. The flavor is, as promised, a big time pine forward hop explosion from the Columbus, Centennial, Cascade, and El Dorado hop varieties. Lacking the malt sweetness of a DIPA, the body is thinner. The finish is crisp, dry and refreshing, and clean. Already brewing three other IPAs, Surly faced a challenge in continuing their tradition of great quality, while delivering on the promise of a west coast style hop forward beer. Without question Surly Overrated succeeds in delivering on that promise, with a tasty, refreshing IPA that is never too sweet, and leaves you wanting more. While not up to the majestic heights of Heady Topper, Overrated is a great addition to the Surly IPA lineup. One that further solidifies their well deserved reputation as one of America’s most dynamic and consistent breweries in the U.S. And while they may do a number of well regarded hoppy beers, their reputation is certainly not overrated. Cold weather months are the time of stouts, porters, and winter warmers. But a few brewers are magnanimous enough to grant a hop fan respite. 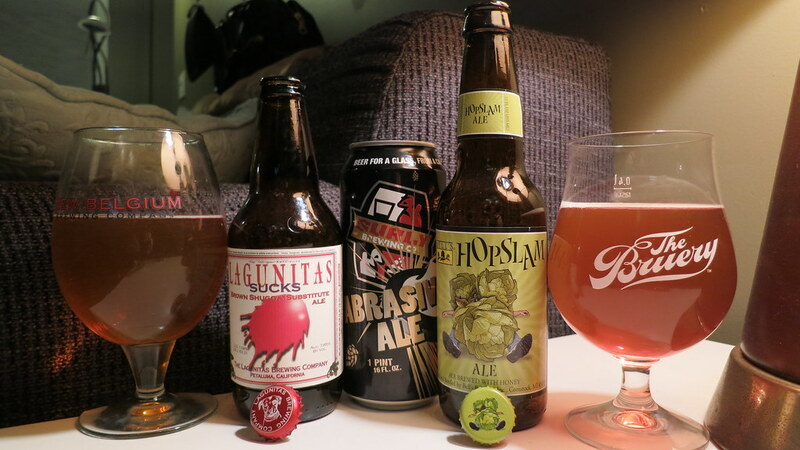 Here we look at three of the best double IPAs in winter. So who the hell decided that winter-time has to be all dark beers and the like? Did the people that green lighted another season of ‘Two Broke Girls‘ posit that, come late summer, Octoberfest marzens and beers brewed with canned pumpkin should start arriving on the shelves? That by Halloween, ‘Christmas’ ales must be filling shelves, long before astronomical winter has begun? Did some neo-hippie beard-O from the west coast brewmaster declare that the current trend in seasonal cuisine should be mimicked in brewing, despite the fact that hops are primarily delivered as dried pellets? Must we rage, rage against the dying of the hops? Ain’t nobody got time for that.